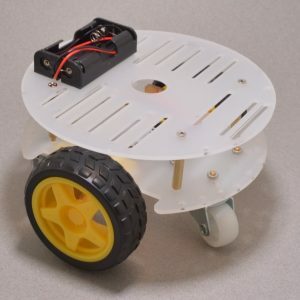 This simple two wheel drive robot chassis is perfect for a first attempt at building a simple roaming robot. 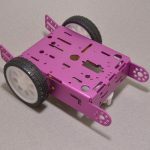 The kit is easy to assemble and offers plenty of mounting points for your microcontroller, sensors, and other additions. 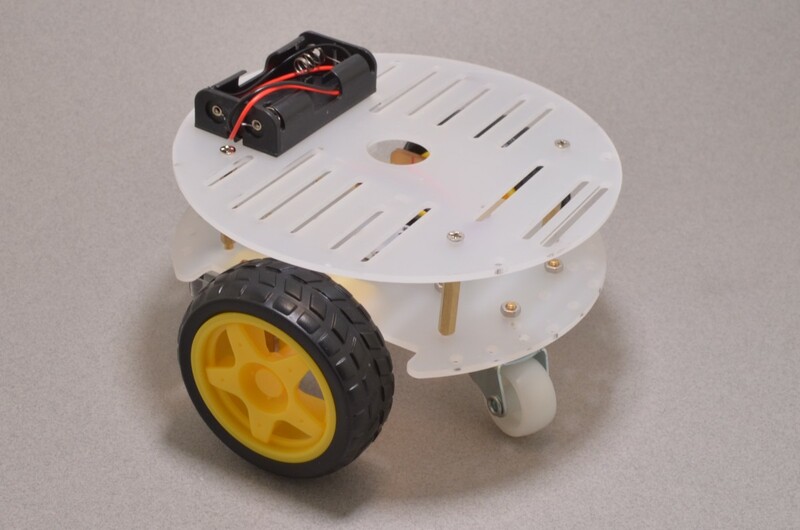 The laser cut chassis is made of two stacked clear acrylic 5.5” diameter discs (we have left the protective peel-a-way cover on the material in the photos) For lower profile designs, this flexible chassis can be assembled without the top layer. 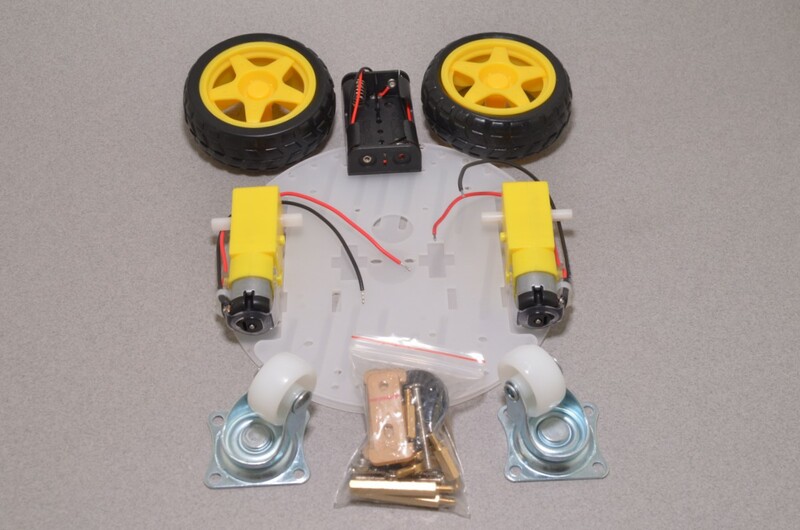 Also included in the kit are: two hobby gearmotors with motor mounts and compatible tires, two encoder discs (optical gates sold separately), two caster wheels, a 2 x AA battery pack, and an assortment of hardware to hold it all together. 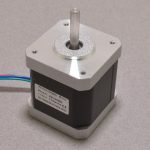 We have pre-wired the motors, meaning no soldering is required to get this up and running! All you will need to make this move is a basic microcontroller and motor controller. Note: For Arduino and Raspberry Pi applications, we recommend using a 4 x AA battery pack. 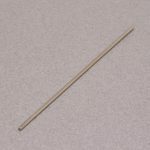 Most Arduino and Raspberry Pi motor controllers require a minimum of 4.5V to function (including the recommended products above). 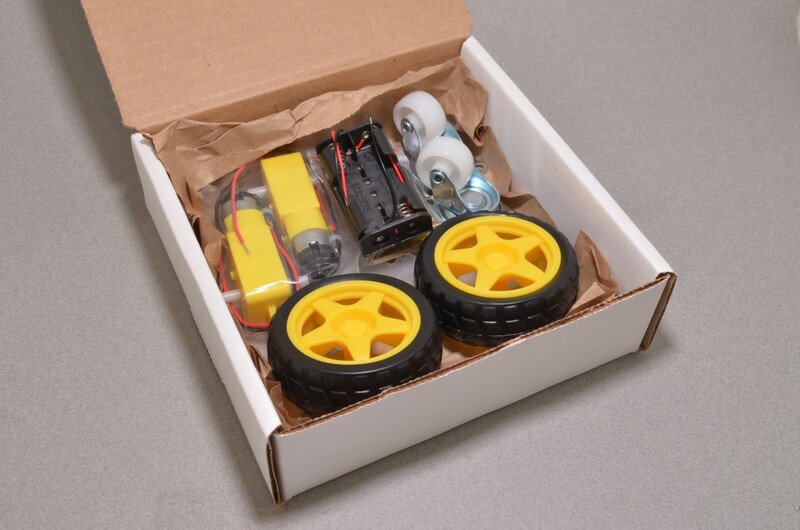 The BBC micro:bit can use the 2 x AA battery pack included in this kit. SKU: ROB-022. Category: Chassis. 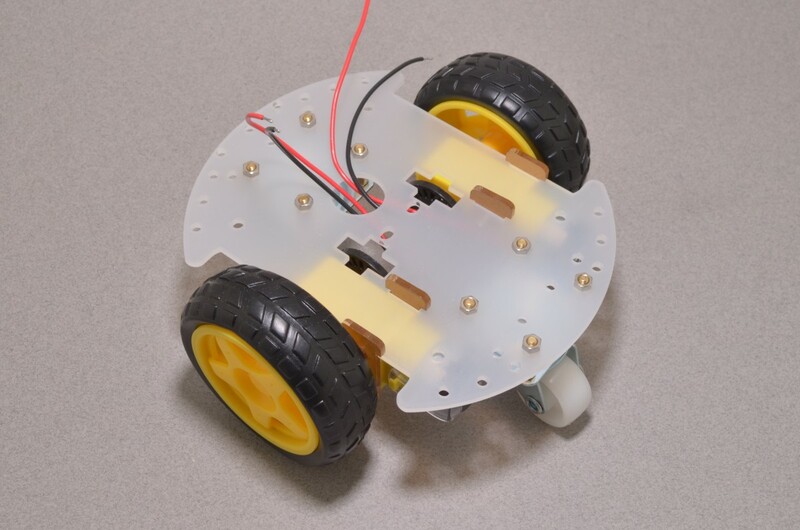 Tags: Chassis, Learn Robotics, Robotics.